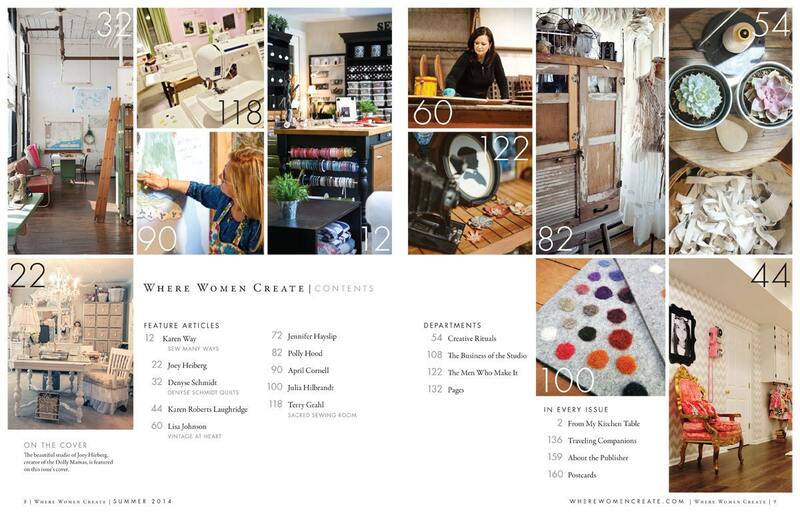 Don't miss this exciting issue of Where Women Create! 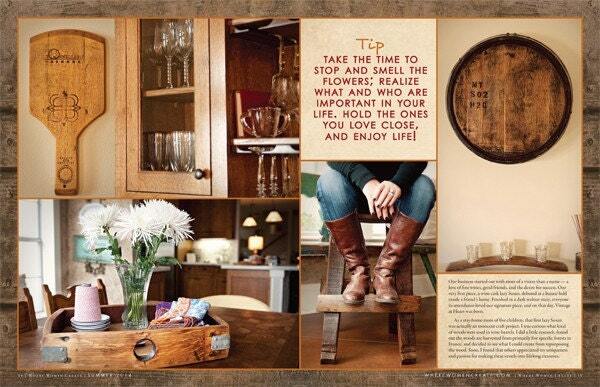 This is the Summer 2014 Back Issue. 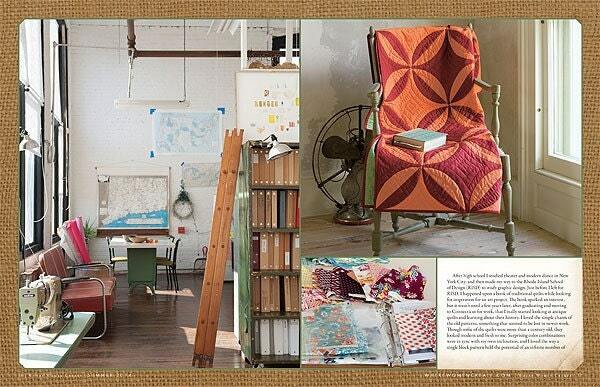 This summer, Where Women Create takes you up close and personal, inside the studios of Joey Heiberg, the creator of the Dolly Mamas, April Cornell, and The Sacred Sewing Room’s Terry Grahl. 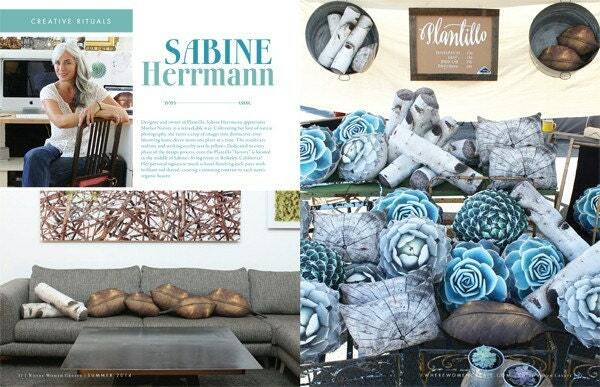 In this enriching issue, you’ll also get a snapshot of the artistic space of Karen Roberts from Karen Roberts Photography, and see how Karen Way of Sew Many Ways styles her very own creative space. 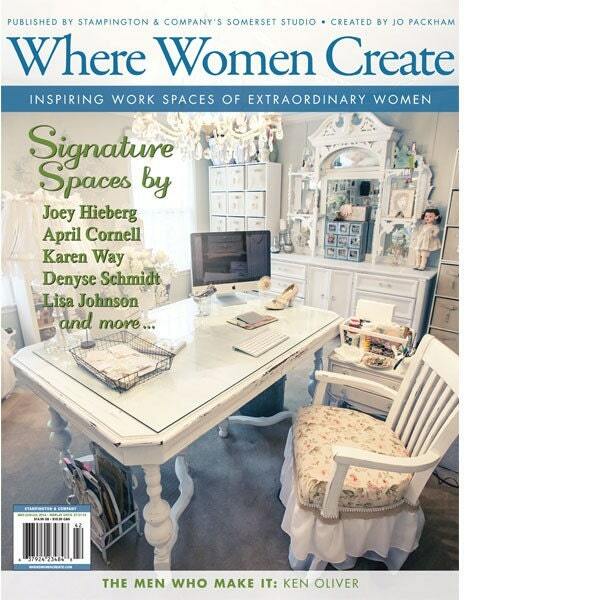 "From my Kitchen Table", "Traveling Companions", "About the Publisher" and "Postcards" in every issue of Where Women Create. Edges are very slightly worn from being on display in our shop. Price has been reduced to reflect this. Regular price was $14.99.